Foundation add 'Super Josh Charity' to cycle challenge line up. The Salford Red Devils Foundation are delighted to add the Joshua Wilson Brain Tumour Charity (Super Josh) to the list of supported charities for our upcoming ‘Ride to Rio Virtual Charity Cycle Challenge’. The event will take place at the intu Trafford Centre on the 29th and 30th of July and offers a number of corporate and junior cycle challenges. These virtual challenges will put your fitness to the test, whilst raising money for the Joshua Wilson Charity, alongside The Jane Tomlinson appeal and Rugby League cares. The Super Josh charity exists in memory of the late Joshua Wilson, a life long Salford Red Devils supporter, who died in 2014 from post operative complications after having a tumour removed. Since setting up the charity in 2013, Josh’s Mum Dawn has worked tirelessly to raise money and awareness to support other families going through similar difficulties. The Salford Red Devils have been loyal supporters of the 'Super Josh' Charity since 2013, with the players wearing a specially designed ‘Super Josh’ kit at this years Magic Weekend in Newcastle. “Everyone at the Salford Red Devils has been inspired by Josh, who was an incredibly positive young man. The work that the Charity continues to carry out is superb and its fantastic that we’re able to support them in this way. 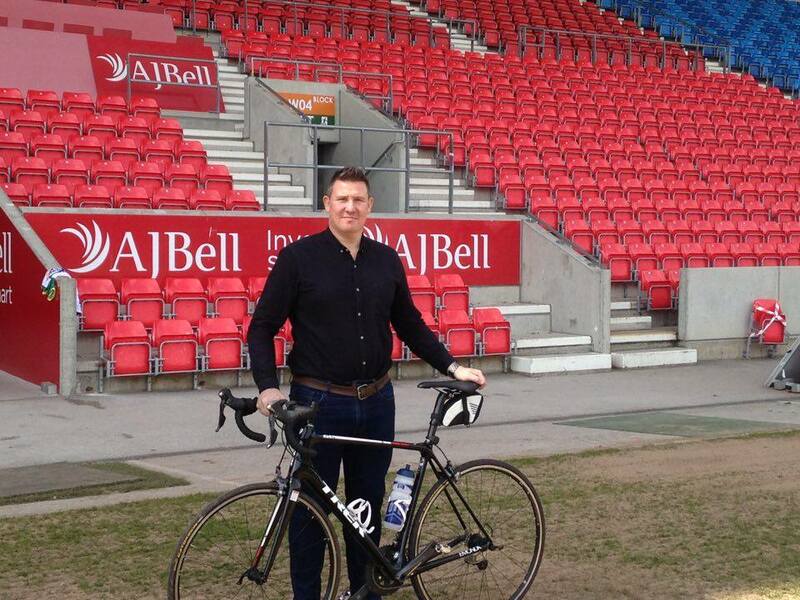 The event takes place in support of former Salford player Paul Highton, who is embarking on an epic adventure, cycling from London to Rio De Janeiro.